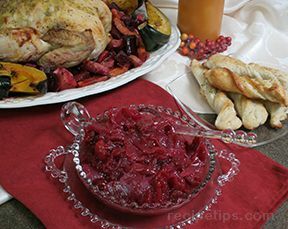 With a hint of smokey chipotle, this relish is a delicious alternative to the traditional cranberry relish. Add in all the sliced onions and sauté until golden brown, 20-25 minutes, stirring occasionally. 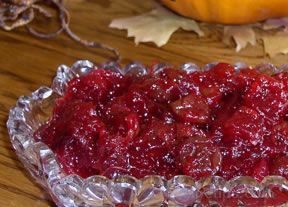 After the onions are browned and carmelized, add in the vinegar, sugar and cranberries. 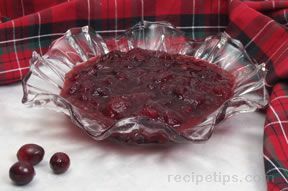 Reduce heat to medium low and simmer until the cranberries start to pop and the juices thicken slightly, 10-15 minutes. Stir in the chipotle chiles. 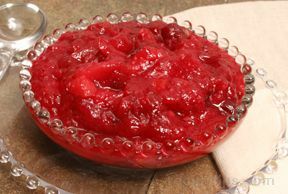 Note - this recipe can easily be doubled and can also be make up to 5 days in advance. Keep covered in the refrigerator until ready to use. Bring back to room temperature before serving.